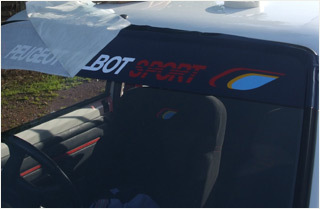 Applying Decals, Graphics, Signs and Stickers is relatively stratght forward. Preparation is the key and, with this in mind, we have produced the following guides to help. 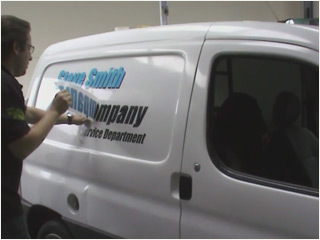 How to apply large and small decals to your your car's body work. How to tackle more complex graphic application to Commercial Vehicles. You can apply stickers in a variety of ways. Here we go through the most common. 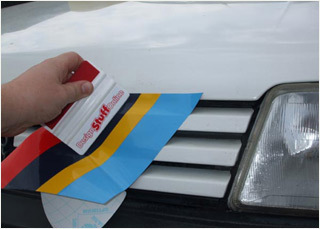 How to apply sunstrips to your car's windscreen and cut once in place. 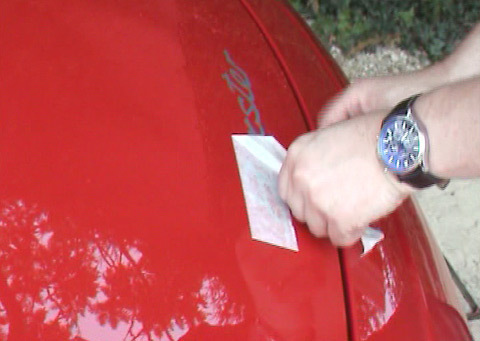 How to apply decals to a car's grill and other shutlines/gaps.